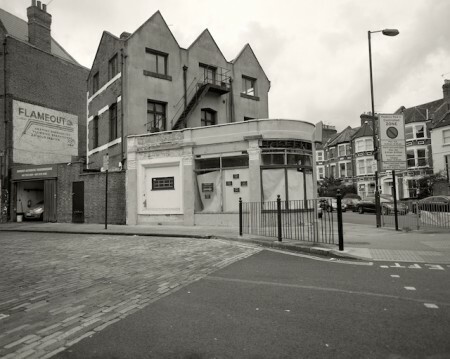 Places mean more than their image gives away – they hide but also reveal – so one can see how people lived in them, loved them, or were frightened of them. 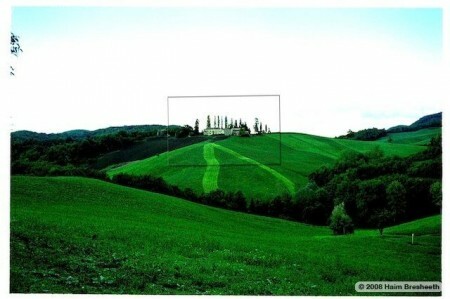 This hill in Tuscany has taken my fancy and I have spent some days on editing the picture into this hybrid. 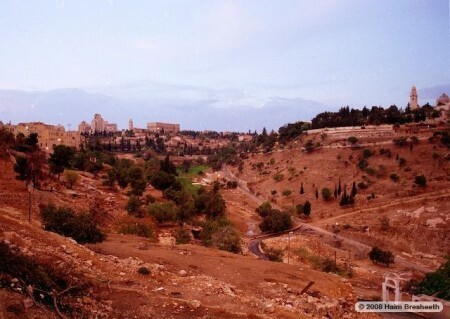 Jerusalem at sunset, some days after the beginning of the Al Aqsa Intifada, as if the landscape knew. There again, Jerusalem looks like this quite often. It must be all the blood in its history. I did not have to use filters here. A photograph of my mother, My uncle and a dear friend of the family, Dr. Braver, as well as three-year old me. 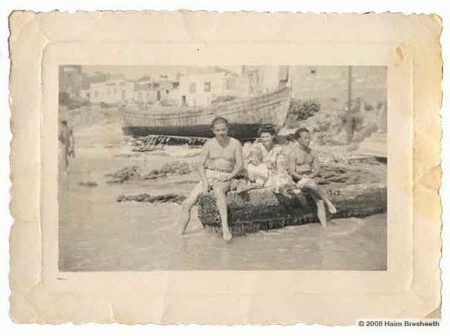 This is on the beach, some 50 yards from our flat in Jebaliia (Jaffa), and in full view of one of the Palestinian boats which were left by the many who have fled away from the Israeli army as it entered Jaffa in 1948, during what is termed the Nakba (the great catastrophe). Many of them died at sea, trying to reach Gaza or Lebanon. 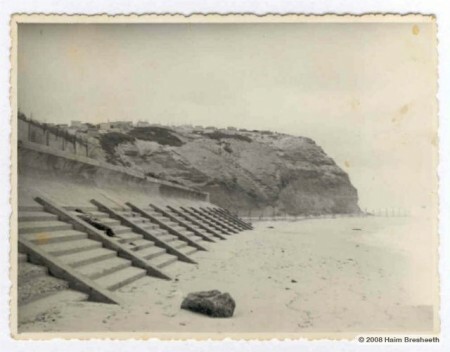 The boats stayed on the beach for years after 1948, until destroyed by the winter storms. 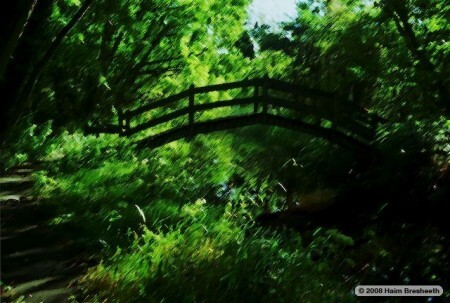 A bridge in Norfolk. This is the kind of green you never see in the Mediterranean, and I did not even know it existed before coming to England. 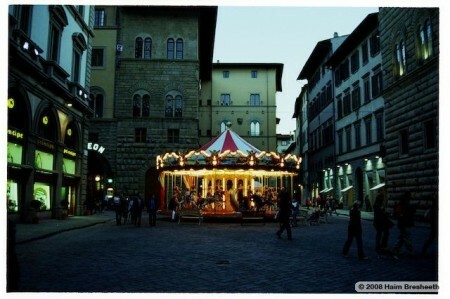 A night in Rome, as one turns the corner, one is always surprised there. 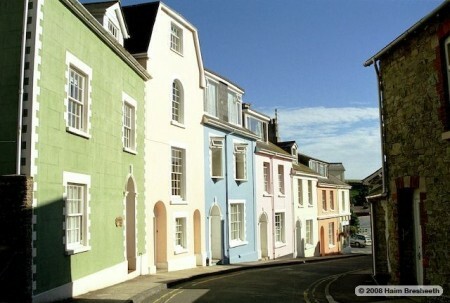 The pastels of the house fronts in Salcombe are musical to the eye. 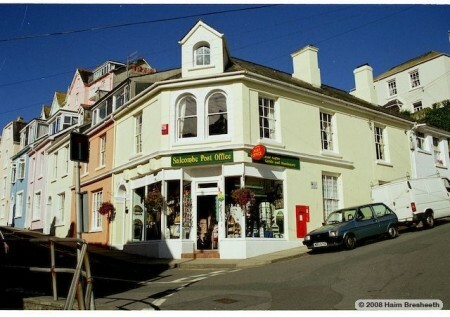 The Post Office of Salcombe, one of many pictures I took of Post Offices all around Britain. 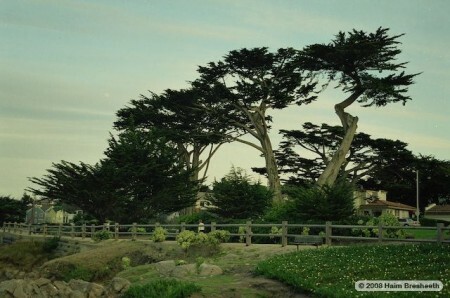 Those trees on the Pacific coast in California bear witness to the power of the wind which shaped them. 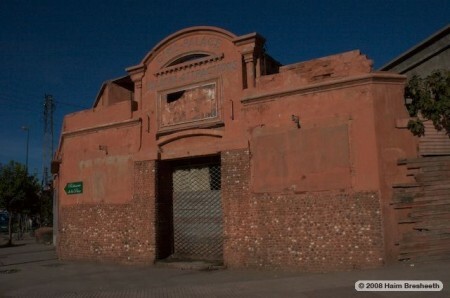 One of the few surviving cinema buildings, though not active, in Marrakech. 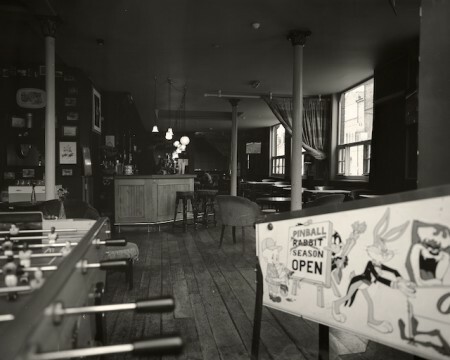 This is actually in the French part of the city, Gueliz, but seems to have closed some decades ago. 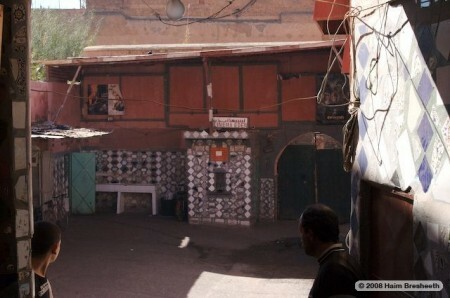 This cinema in the Medina in Marrakech was working, and showing many Bollywood films, of course. 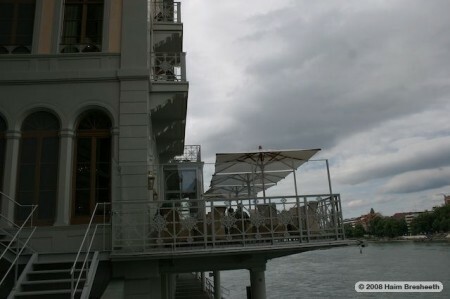 This hotel balcony in Basle has a historical resonance. The hotel, the Three Kings, is the one Theodor Herzl stayed in during the first Zionist congress in 1896, and on the same balcony was taken his famous portrait. The congress took part across the road, in the municipal casino… So the beginnings of Zionism were a dangerous bet. A pub in Haringey, inviting you into the cool dusk at high noon, when even the London sun can be beating down with a vengeance. 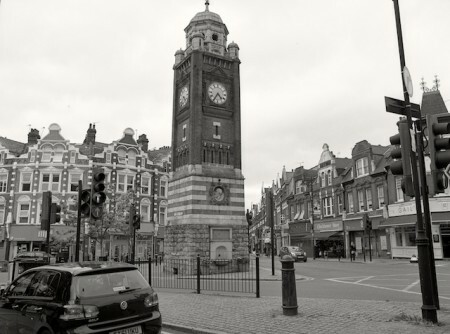 Crouch End, the Clock Tower, an enclave of the late 19th century, almost unchanged. Light in the London Parks is like nowhere else. I first noticed its intoxicating qualities in Antonioni’s Blowup. 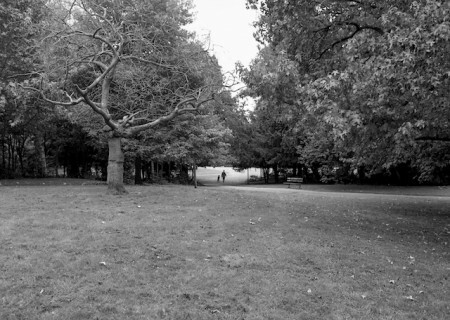 Winter in London is the time to get the medium format camera, load it with a black & white film, and get that special dead light when the sky is cloudy and the cold is making everything look sharp and desolate. 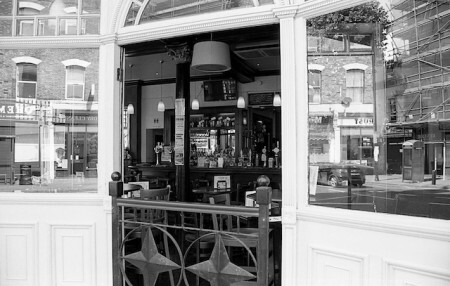 Another pub in Haringey, deserted at lunchtime. 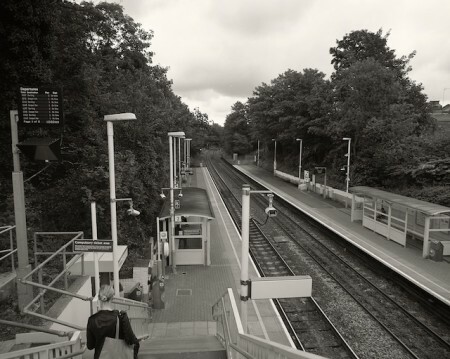 One of hundreds of London’s overground stations, empty most of the time, and awaiting one’s gaze, which it appreciates. 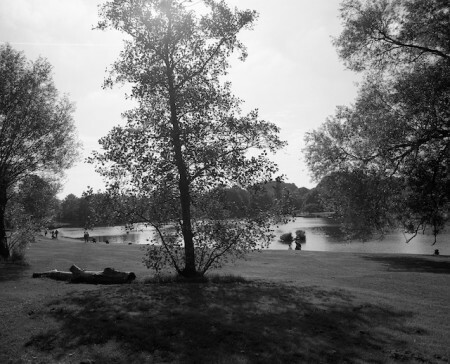 Hampstead ponds on a clear cold Spring day. 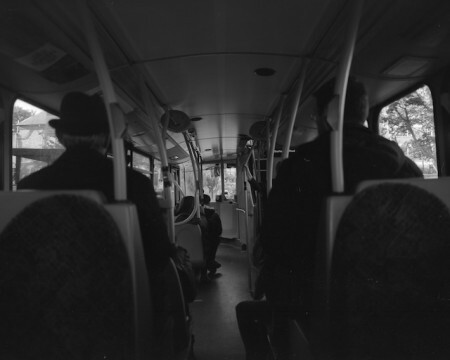 Black & White is good for the London buses, my favourite way of discovering hidden corners of London. 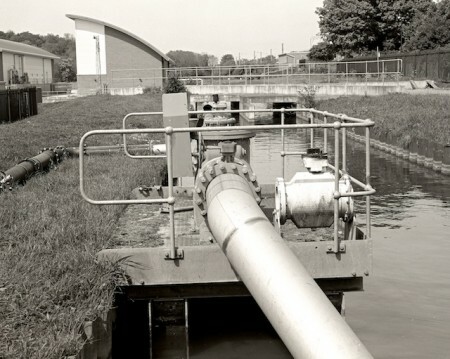 The New River, a man-made freshwater canal built in 1613 to bring water from Chadwell all the way to central London, 40km away. It is an amazing achievement for the time, as the fall between both ends is only 4 meters! This means calculating a fall of 1 in 10,000 – even today, this will be almost impossible to achieve. At the time, gravity did the work, now pumping seems to have replaced it. 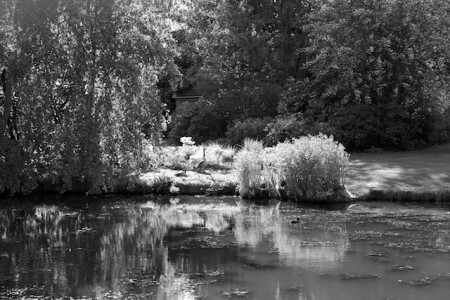 Saville Gardens, at Windsor Great Park. A corner of the past preserved for the future, one hopes. 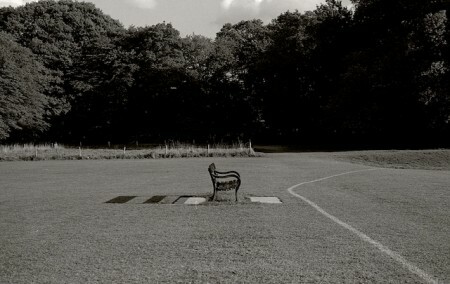 The time to sit on this bench, your face gently warmed by the setting sun, is of course on a summer evening, after the multitude have left to watch television.